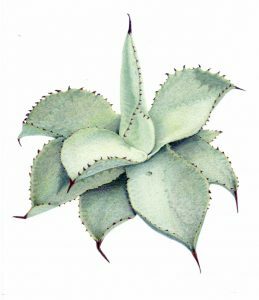 A group of enthusiastic botanical artists met on 20th January 2016 and formed the Bermuda Society of Botanical Artists, a not-for-profit organization. One of our founding members, Marg Hammond, designed our logo which depicts the Bermuda cedar (Juniperus bermudiana), our beloved and endangered endemic tree. Botanical art defined . . .
“This genre is an art/science combination in which both elements must be present to qualify for the definition “botanical art”. It’s a marriage between accuracy and aesthetics. “ – Margaret Best. Botanical art is a two-dimensional art form embracing both scientific accuracy and aesthetics. Both features must be distinctly recognizable in each work of art regardless of the medium selected. Botanical accuracy pertains to structure, use of colour, proportion and perspective. The aesthetic component should portray the artist’s own individual style and expression with the inspiration drawn directly from an actual specimen and not exclusively from digital images. Each completed art piece requires the identification of the specific species depicted. All features of the plant shown are required to match the species named by the artist. Contemporary botanical art emerged from a form of vital documentation and illustration in both pre-written language and pre-photographic eras to become a recognized genre providing both visual and educational enrichment. Defined for a purpose . . .
insect, animal, or bird content.